I'm sure many of you have already heard about SampleStore.com! 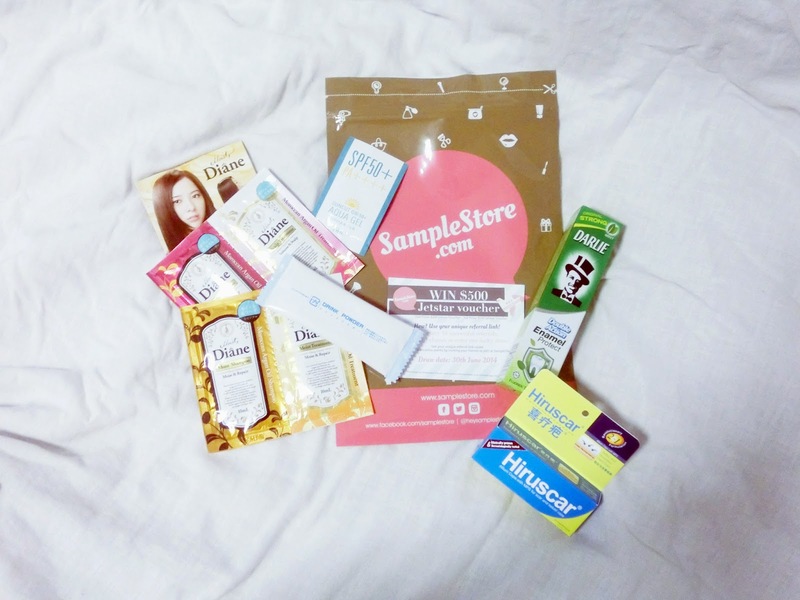 Sample Store is the FIRST and BEST tryvertising platform in Singapore offering hundreds over product samples & thousands over unbiased product reviews. but we wouldn't know if the product works for us as well right? just head down to Sample Store & look for the product & get them to mail it to you! & then you can slowly try the samples & after that you can decide if you really want to buy the full size product from the main store! so Sample Store have send me a few samples! firstly, please tell me, how cute is this ziplock packaging?!! here are a few items they have sent me! checkout the wide range of stuff they have to offer! cos i've been hearing many good feedbacks & recommendations about it! So yes! i'm finally able to try it thanks to the Sample they have sent me! so i'm always on the search of finding hair products that can help me settle it! So, i'm quite eager to try Diane's hair product samples, to see if it helps! It's FREE Samples, FREE Membership! & Like Facebook Page for more updates & giveaways! Start looking for the samples that you've always wanted to try out!